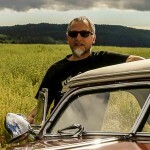 This is the first in a series of spotlight articles on Business Cards from well known -or not so well known- custom car builders. These cards were printed by the business owners back in the 1950’s 50’s and 60’s with the only purpose to hand out to customers or possible customers. They never thought they would end up becoming collectors items. This first card comes from the Carson Top Shop. 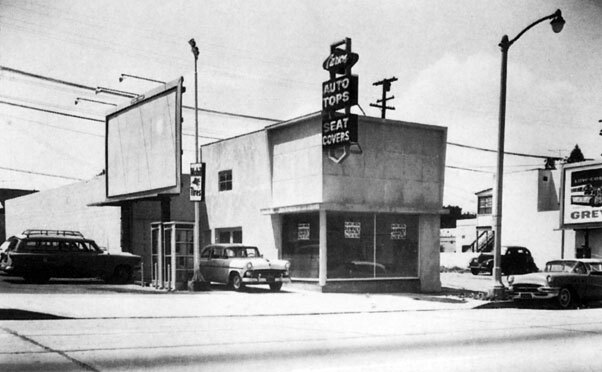 The shop moved to its 4717 S. Crenshaw, Los Angeles location in 1954. So this business card must be from 1954 or later. The car is printed on a pearlised card stock. This type of paper was used a lot from the 1940’s till somewhere in the mid 1950s. It was available in several different shades, but the egg-shell white paper used for the Carson Top Shop card was most widely used. The printing on the card has a slightly textured and raised print and is standing above the paper’s surface, not absorbed into the paper like normal printing. This gives the card an almost 3D feel. The raised printing in the amber color on the egg-shell colored pearlised paper, gives the car a very classy feel. 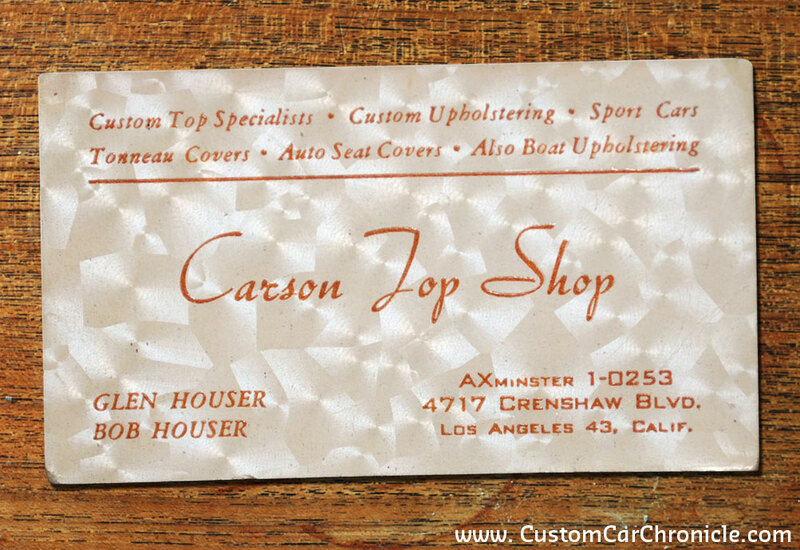 The photo below shows the building the Carson Top Shop was located in, when this business card was used. There are people who collect match book covers, so why not business from famous kustom, hot rod shops. 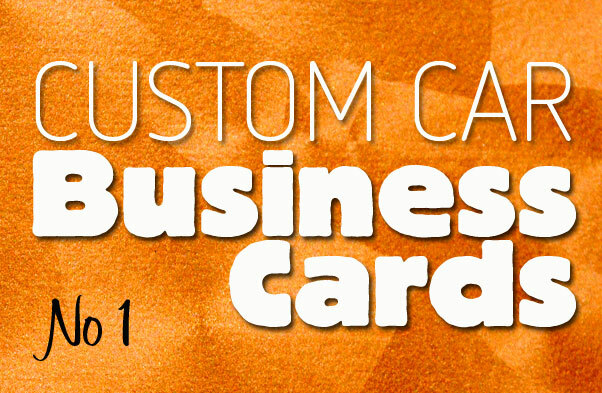 Collecting business cards would be a very low cost output on the collector. I would like to see more of the old shops cards posted her on CCC.